You can technically spend your twenties without any credit rating. You can pay for everything in cash and skip applying for student loans, or car loans, or even skip owning a credit card altogether. The idea of never having to worry about having any debt can be liberating, until you get older and realize that you need to have a good credit rating to get anywhere in life. There are currently three credit bureaus that matter; Equifax, Transunion, and Experian. These three credit bureaus keep records of everyone’s credit history, which are then sold to banks, employers, landlords, or any other agency that wants to check on your credit rating. If you wish to build your credit rating, you have to get an account from a company that reports to these three credit rating agencies. This includes major credit cards like VISA, AMEX, or Mastercard along with store credit cards from major retailers like Target and GAP. Keep in mind that the credit bureaus do not cover debit cards or utility bills. When the Credit Card Act was implemented in 2010 (a year after President Obama signed it into law) people younger than 21 years old can no longer apply for a credit card under their own name if they can't show proof of independent income or don't have a co-signer. Even if you have proof of independent income, it is better to open a loan or credit account with a co-signer who has good credit rating. This will give your own credit rating a big boost. The process has been dubbed as “piggybacking” and is generally frowned upon unless your co-signer is a parent or a relative. So try to find out first if anyone from your immediate family has a good credit rating. It is a good idea to start using your credit card regularly if you want to build your credit rating. But you have to watch your spending habits and ensure that you’re only charging for items that you can afford to pay for with cash. This will make it easier to pay off your full balance every month. Paying your full balance every month means that you can avoid accumulated interest while building good credit history. An unused credit card will have no effect on your credit, but a regularly-used one that is paid in full regularly will do wonders for your credit rating. The term “credit utilization” may be new to you if you’re just starting out on building credit. It’s a fancy term but it’s really easy to understand – it’s how much debt you owe relative to the amount of total debt you can carry. For example, if you have a debt amounting to $500 while owning a credit card with a credit limit of $1000, you can get your credit utilization by dividing your total debt (500) by your credit limit (1000). The answer (0.5 or 50%) is your credit utilization rate. A credit utilization level somewhere between 20% and 25% is considered decent, but you’ll want to shoot for 10% if you need a boost in your credit rating. Avoid applying for multiple credit cards while you’re still building your credit rating. This is because the major credit bureaus take a lot of factors into account when assigning a rating, including the number of times an “inquiry” is made into your credit history. An “inquiry” registers when a credit card company or loan agency requests a copy of your credit history from the credit bureaus. 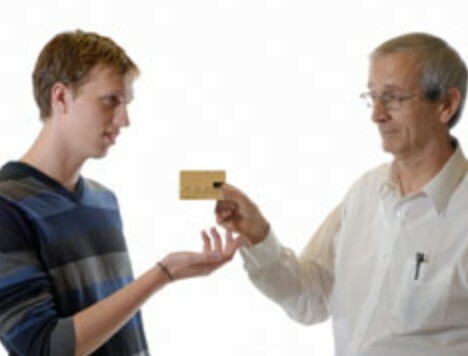 Each inquiry will affect your credit score negatively, so applying for too many credit cards will throw up a red flag. So in the meantime, apply for the right kind of credit card and use it regularly, paying off any debts before they are due. In a few years’ time you will have built a decent credit rating that can help you apply for other credit cards without hurting your credit score. It is important to remember that building a good credit rating will take a couple of years on top of actually getting a credit rating in the first place. You need to start while you’re young so that you’ll have the comfort of having exceptional credit rating when you get to the age where one starts to matter.